Lady Gaga and Bradley Cooper to entertain the biggest Hollywood movie night. Cancel your 24th February plans already (if you made any) because Bradley Cooper and Lady Gaga will land on your TV to save the Oscars night with their performance. Did we say that right? Yup, it's true. The news is official. The magnificent onscreen duo will be entertaining the night away at the 91st Academy Awards later this month on 24th Feb.
A Star Is Born casts Bradley Cooper and Lady Gaga at an event. The official Twitter account of the Academy Awards announced on Friday that one of the biggest films made last year aka 'A Star is Born' lead male actor and director Cooper will step on the stage alongside his film co-star Gaga. The good news arrives after two months of the much controversial talk of the comedian-actor Kevin Hart who stepped down from hosting the Oscars event due to his historic homophobic tweets. However, as per a few reports speculations, despite the Oscars kicking off hostless, the recent tweets on the account indicate that all the nominees might get the chance to seize the spotlight place for some time. "Cooper. Gaga. "Shallow." 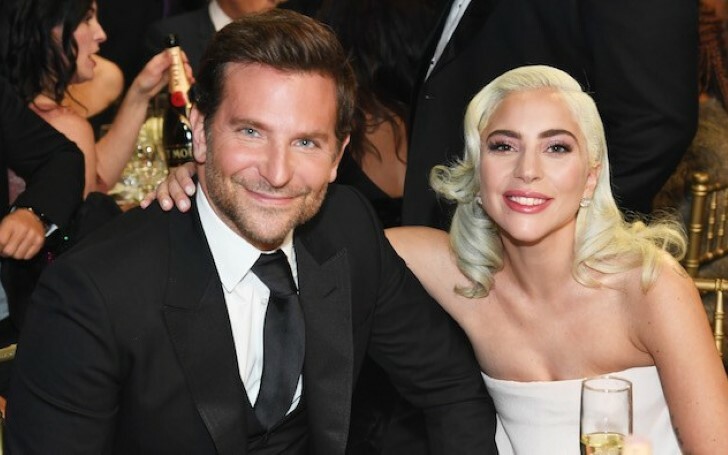 #Oscars "
The tweet clearly implies both Cooper and Gaga will be crooning their super hit film's soundtrack 'Shallow' at the 2019 Oscars night. Likewise, in another previous post, the Academy disclosed some more information about the anticipated movie night. "Time to update your Songs That Will Be Performed On This Year’s Oscars Playlist: We're excited to welcome @GillianWelch and David Rawlings to the #Oscars stage to sing "When a Cowboy Trades His Spurs for Wings” from "The Ballad of Buster Scruggs."" Surprising the audiences, an earlier tweet from the Academy Awards also exposed 'The Place Where Lost Things Go', a song from 'Mary Poppins Returns' will also be performed. However, the post announced with a spoiler bonus alert saying the song will be performed by a special unknown guest. Likewise, rapper Kendrick Lamar also appears in one of the confirmed artist lists to perform at the night. Lamar will perform 'All the Stars' from Marvel's superhero film Black Panther, a topmost film for receiving Oscars nominations in seven different categories. Meanwhile, this won't be the first time Cooper and Gaga, both Oscars nominees will get to perform together live on stage. Bradley jumped on the stage last month at one of Gaga's Vegas show to perform a live version of Shallow. Seeing the onscreen duo on stage, fans reasonably went insane. If the stage chemistry of the pair goes accordingly at the Oscars night, the fans can surely get to witness some magic.